The Sixth Form years have never been more critical. With increased complexity and competition for university places and careers, the choices that are made now will undoubtedly have a major effect on the futures of all Year 11 pupils. 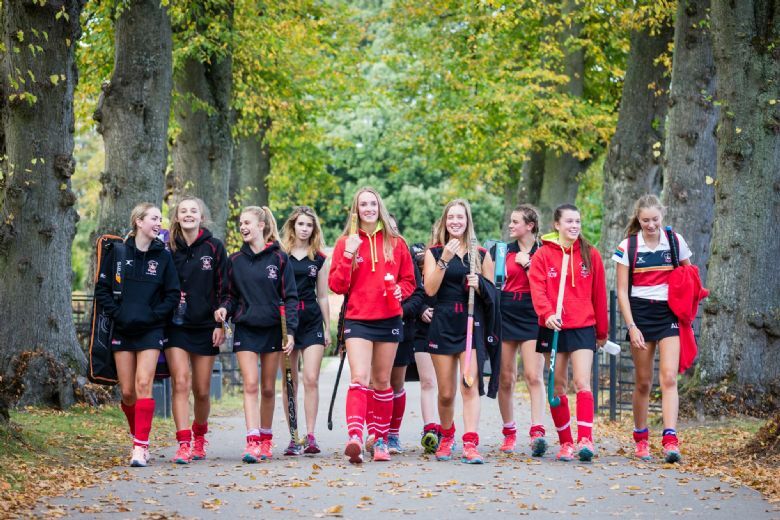 The Sixth Form at Princethorpe offers great choice, quality teaching in small classes, a vast array of sporting, co-curricular, leadership and service opportunities coupled with excellent pastoral care and guidance, tailored to the needs of today’s young adults. Our staff give outstanding individual support to all students and this remains an essential feature of Sixth Form life. This is a particularly exciting time to be joining the Sixth Form at Princethorpe with more pupils than ever before staying on to study A-levels, as well as increasing numbers of external candidates. Our unique Princethorpe Diploma encompasses and embraces the qualities sought by both universities and employers, and our dedicated Sixth Form facilities - which include the Sixth Form Resource Centre - are designed to specifically meet the needs of the modern Sixth Former. We believe the Sixth Form at Princethorpe provides an excellent all-round education and is the perfect stepping stone for university, college and life beyond full-time education. It is our aim that by the time that our Sixth Formers leave school, they have become mature, successful, well-rounded young people, with a strong set of moral values to guide them through adult life. This is a dynamic and caring Sixth Form, big enough to offer a wide range of A-level subjects, but we like to think we are not so big that things seem impersonal. In fact, every Sixth Former at Princethorpe is treated as an individual and we offer guidance and care to all. 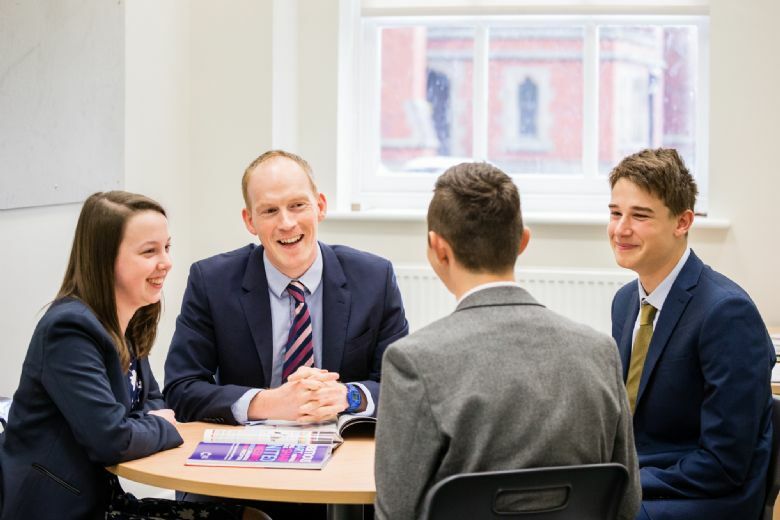 Our Sixth Formers develop a close relationship with their Form Tutors and with the Head and Assistant Heads of Sixth Form. We pride ourselves on good communication with students and, very importantly, with their parents. Our care begins with the help we offer in choosing A-level subjects wisely and then continues in our close monitoring of academic progress. We help students, whatever their level of ability, to reach their academic potential and then make the right decisions for the future. Sixth Form is very definitely a time for self-development and fun and we offer a wide range of activities which reflect the emphasis we put on helping students to become happy, well-balanced and successful young people. Our Lower Sixth Formers help younger pupils in their lessons, carry out some duties such as supervising pupils in our tuck shop and act as ambassadors for the College when showing around prospective pupils and their parents. All have a number of opportunities when they are encouraged to speak in front of a relatively large audience – a group of their peers or, on occasions, a group of parents. We do feel that our Sixth Formers gain a great deal from these opportunities and it is lovely to see them grow in self-esteem and social graces over the two years. To find out more about Sixth Form life download our Sixth Form Admissions 2019 Information Booklet below. After consultation with students in the form of a survey, followed by committee meetings between staff and Sixth Form representatives, a new dress code for Sixth Formers has been compiled and is now in force. Please click here to view. Sixth, unless they are taking Core Mathematics or Further Mathematics. they must give a ten-minute presentation on their research to teachers and a group of fellow students and take questions at the end. Students are assigned a mentor who will provide advice and guidance as required and with whom they will meet regularly for direct teaching, instruction and assessment, or other structured learning such as directed assignments or supported individual study. Students also meet regularly with the librarian and other EP students to be taught the necessary research and independent learning skills needed to undertake such a project. Students’ own private study will be an additional commitment to these guided learning hours. As well as helping students develop research skills and enhance their thinking skills, Extended Projects are welcomed by many universities and admissions tutors may well use them in differentiating between applicants for offer making. Over the past four years 95% of students entered have achieved A* or A grades in their EP qualification. 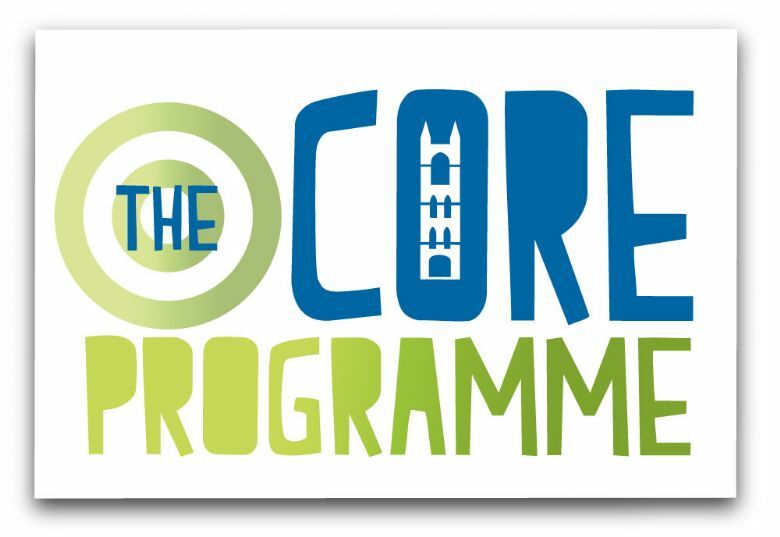 Comprising a varied range of topics and speakers and incorporating careers and higher education advice, the CoRE Programme is closely linked to the ethos of the college. The aim is to develop qualities such as Commitment, Openness, Reflection and Enthusiasm so that students grow in maturity and confidence as they look to life beyond Princethorpe College. issues. The weekly sessions include a broad range of speakers invited to address the students on topics ranging from driving safety or cybercrime to animal welfare or the prison system. As part of the CoRE Programme, issues are explored from a moral and religious perspective. Debates are sometimes led by visiting speakers and by Sixth Formers themselves. The motions have ranged from the idea of arming all UK police officers to legalising euthanasia, abolishing faith schools and the morality of torture. In addition, students receive essential advice and information about careers, applying to university, vocational courses, apprenticeships and the world of work. In the Lower Sixth, all students are encouraged to extend their interests and to develop new skills. An additional Enrichment period within the CoRE Programme each week is specifically set aside for this. As a whole, the CoRE Programme encourages students to think critically, logically and constructively about the world in which they live and to look forward to the challenges and opportunities that lie ahead. Open to all Sixth Form students the innovative Princethorpe Diploma brings together six components that we believe are critical in today’s world, helping our students leave us as mature, confident, resilient, well-rounded young people, with a strong set of moral values to guide them through adult life. Academic Studies – whatever the abilities and talents, strengths and weaknesses of our students we expect them to develop their independent learning skills and to try their very best. Service to others – in line with our Christian ethos, we want to encourage students to use their skills and talents to actively be involved in helping others, both in and outside the school community. Work experience – having a good understanding of the world of work is vital to help students on their journey into adulthood. Community and Ethos – at Princethorpe, we believe that we have a very special sense of community, and this is founded on kindness and understanding; tolerance and respect for others; mutual forgiveness and gentleness; courtesy and good manners; hospitality and a sense of humour. Attendance and Punctuality – having the discipline to attend one’s commitments punctually and consistently is an essential skill in the world of work. To be awarded the Princethorpe Diploma, students need to meet the College’s criteria for each of the above components.